Nothing will stop your business cold like a equipment meltdown. That’s why it is vital for you as a restaurant or food service owner or manager to be vigilant about preventative maintenance. Once your restaurant appliance fails, the cost of the repairs is part of your expenses only that you’ll incur. You may also lose customers and time. Losing customers will definitely causes you decreased sales in the end. Our mission is to properly identify and repair those problems affecting your equipment. We will utilize the most up to date technology and products available in our industry to get you up and running again. We want to exceed your expectations… and keep your operation running smoothly. Authorized by many manufacturers to service their equipment while still protected under their new equipment “warranty” service. Commercial Appliance Repair.  is proud to offer comprehensive commercial HVAC, commercial kitchen and commercial refrigeration services throughout the Texas, including Illinois Dallas and surrounding suburbs including Plano and Fort Worth. One of the most important responsibilities of a kitchen operator is having kitchen equipment that works properly. 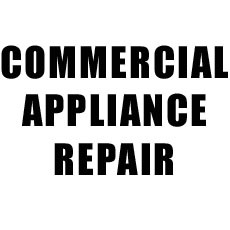 Commercial Appliance Repair makes simple do-it-yourself equipment repairs easy by providing O.E.M parts, competitive pricing, and having thousands of parts in stock. Other customers have come to rely on us to provide sound technical assistance and the correct parts to help them do their own repairs. Your ducts, fans, hoods, and vents are where grease usually accumulates over time. Our job is to clean them thoroughly on a regular basis or as often as you need in order to keep your kitchen in working order. Dallas Hood Cleaning is our specialty! Every type of commercial cooking establishment across the country abides by the same health codes and standards. One of these requirements is that the hoods above all cooking equipment are cleaned regularly. Book a Service Tech Now.